Please click the link to continue to follow my blog on my new website. 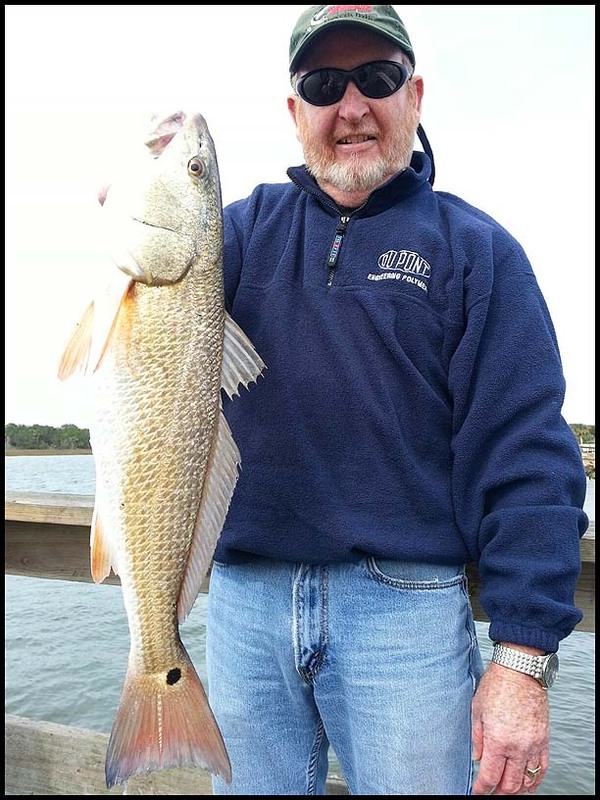 I had the pleasure of fishing with Mike and Bill as we set out to sight fish for redfish and find a few tournament winners for the Flagler County Sport Fishing club tournament the next day. We had some slight issues with sight fishing as cloud cover kept blocking the sun but soon as the sun broke we were able to spot fish in nice schools. We pitched artificial lures for a while before switching to cut pinfish that nailed these two redfish for Mike which one of these reds was the tournament winner. It’s cold one week then hot another, man are the fish confused. 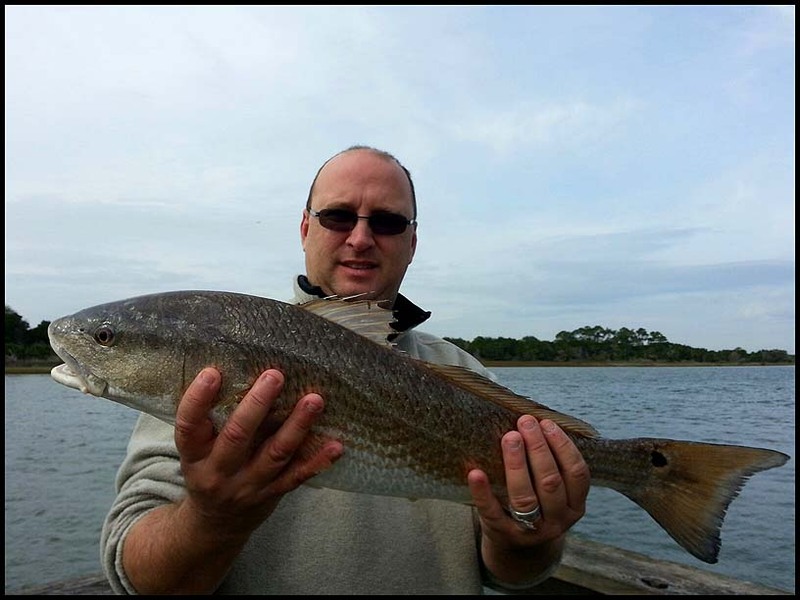 My preference is to have some nice cool nights that will help clear the waters so we can sight fish schools of redfish. 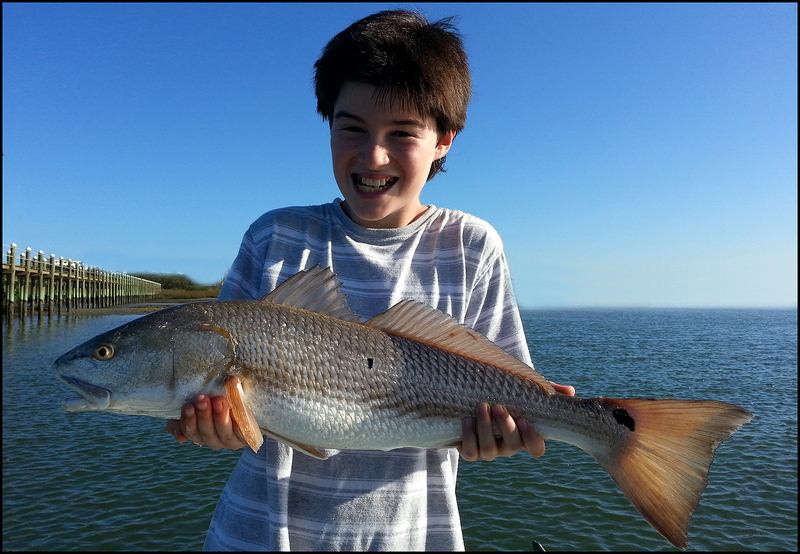 This past week we fished schools on the flats and deeper water around docks that are holding redfish. 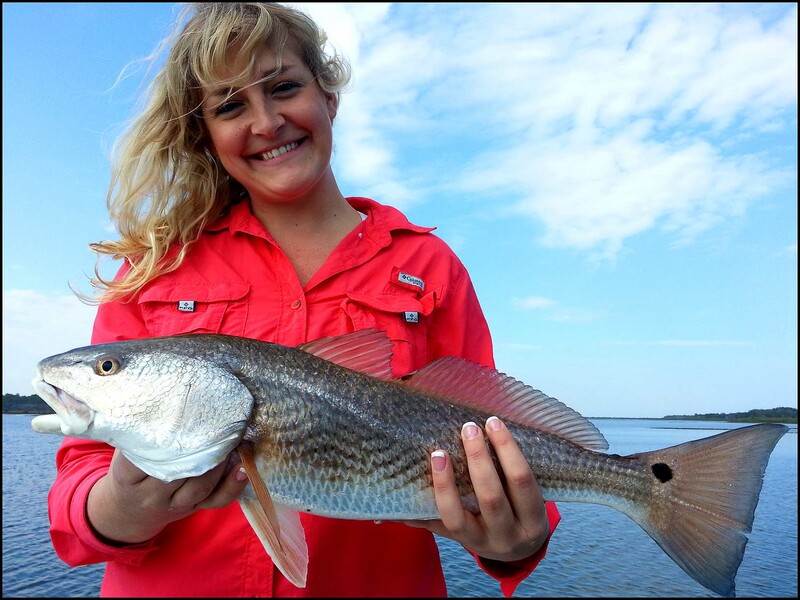 Lures on the shallow flats have proven to out fish live bait while chasing schools of redfish around oyster bars. Slayer inc. paddle tails on a Slayer inc. 1/4 oz. jighead has been my choice in lure. For dock fishing a good chunk of pinfish did the trick. Here it is January 12th and I was on a charter today wearing a t-shirt and shorts since we hit a high of 80 degrees, go figure. I personally prefer colder weather as when temps drop the water clears and redfish school in numbers. Today I had the pleasure of fishing with Bruce, Andrew and Alexander who wanted to catch redfish. 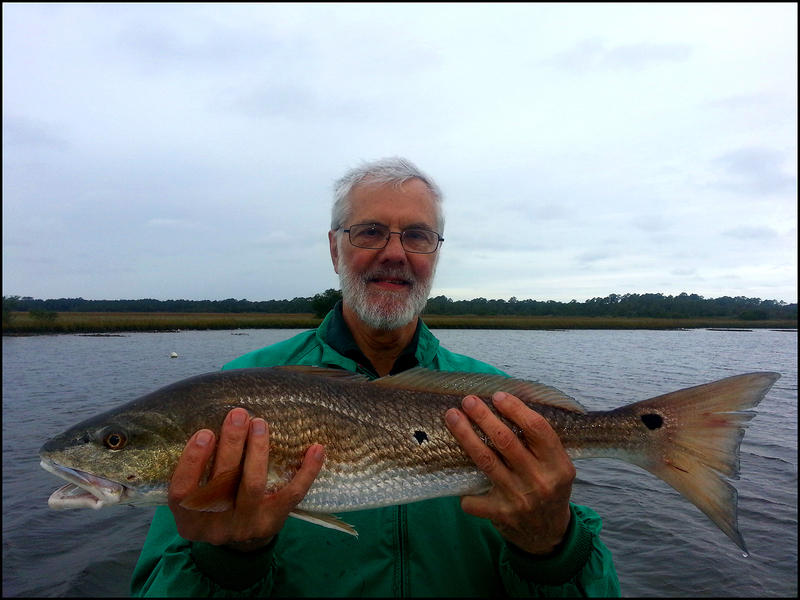 We hit some docks with fiddler crabs, mud minnows and live shrimp which all seemed to work well for redfish. That’s right we had a trifecta of bad weather. Gary, Jacob and Zack all braved the less than desirable conditions and headed out for a half day of fishing anyway. 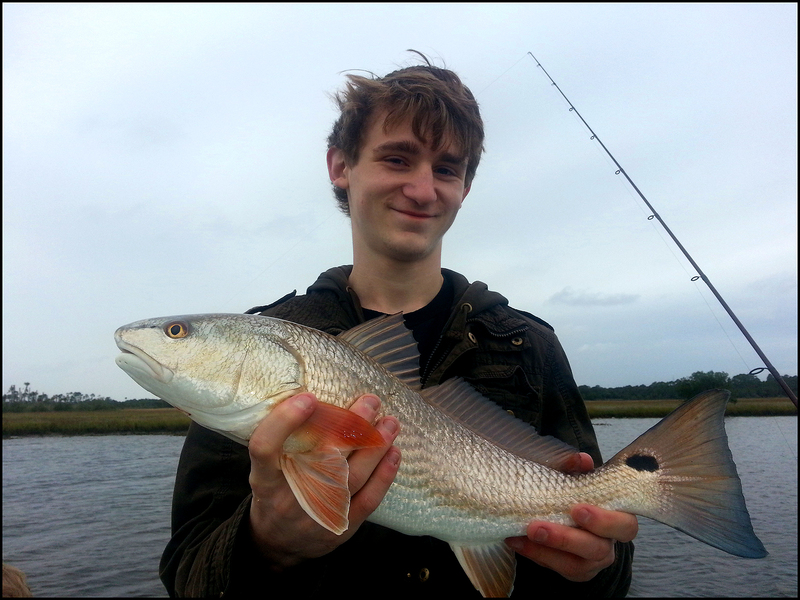 We fish the creeks that gave us some relief from the weather and were able to score some nice redfish that ate a live shrimp and fiddler crab combo. This combo has proved to be deadly for redfish who refuse just about everything else. As air temps finally dropped the water is now officially sight fish able. We have been sight fishing schools of redfish and catching them with ease using soft plastic paddle tails by Slayer inc. matched perfectly with a Slayer inc. 1/4 oz. jighead. 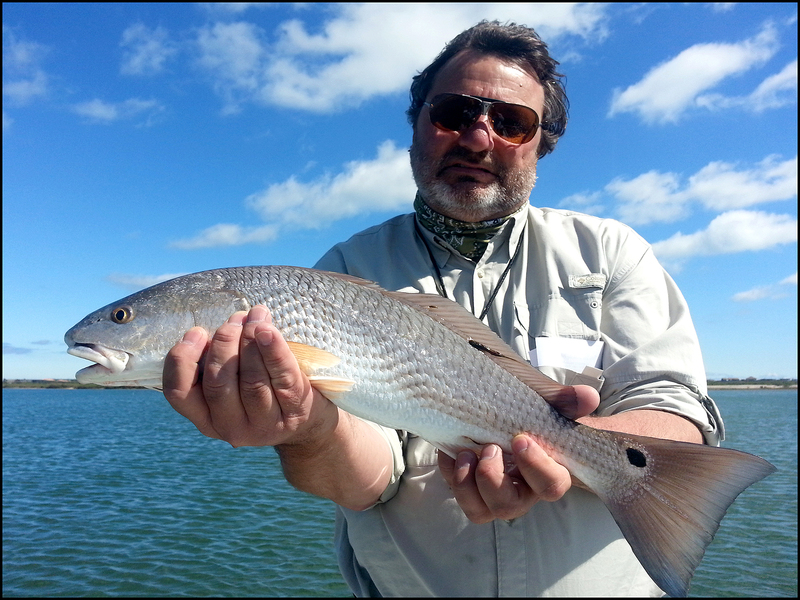 late morning starts with calm winds and little cloud cover are ideal conditions for sight fishing redfish in shallow flats. Keep the sun to your back and move with stealth as shallow water redfish in clear water are as spooky as they get. What a great day of fishing Palm Coast as Patrick, Tyler and myself set out to put Patrick on a some sight fished redfish. 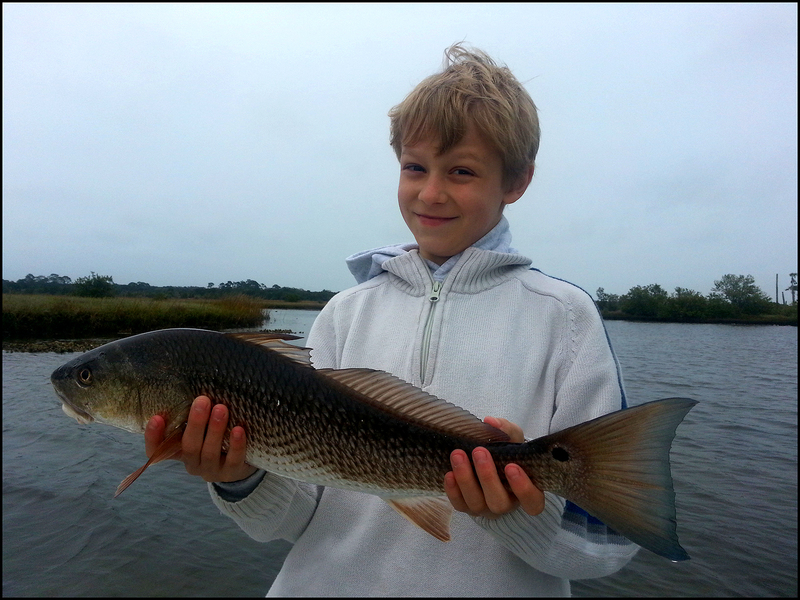 It wasn’t long before Patrick blind casted and caught a nice redfish on a Z-man white paddle tail and 1/8 oz jighead. We moved on to some clearer water and found some nice redfish that where willing to eat very aggressively. 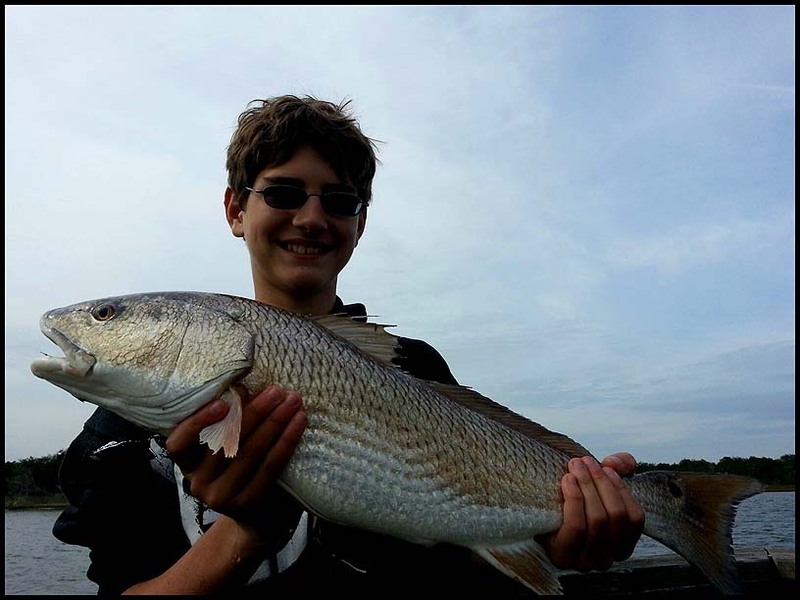 Patrick and Tyler continued to slay some redfish using Z man paddle tails and Slayer inc sst. Scott and Lindsey fished with me yesterday and took home some nice dinner. Scott Crown and his son where my guest the other day for a hog hunt. After our hunt we set out to find redfish which were quickly located. What a great day of fishing for Don and I as we hit St. Augustine for a low tide bite in the creeks. Our first spot had redfish belly crawling and busting mud minnows in inches of water. Our bait of choice was a live shrimp on a 1/4 oz Slayer inc. jig head. Don slammed these two brutes followed by some smaller redfish. Brian one of Captains BBQ finest and I set out a few days ago to test the water for sight fishing but due to this warm weather the water is still dirty and will not clear till temps drop. Although the water wasn’t clear enough to sight fish we did sight fish this redfish as it was seen busting bait in the grass. Brian had a hole in one when he casted a gulp watermelon red flake jerkbait into this reds mouth. After taking a short break from fishing and writing reports I can say I am back and ready. I hooked up the Hell’s bay to my truck this afternoon and met 10 year old Nolan at Bings Landing for a day of scouting for an upcoming tv show. Our mission today was to find fish worthy enough for tv air time and Nolan’s first fish was worthy. A nice over slot redfish inhaled a piece of cut mullet on a Daiichi 3/0 circle hook and split shot rig. 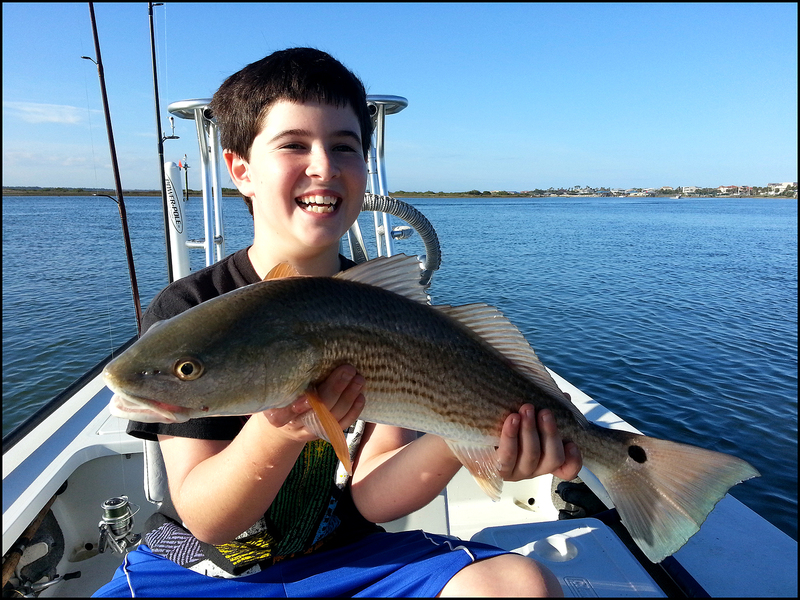 We drifted a flat with some Slayer inc. paddle tails and scored another redfish and a couple of flounders. Last week I had Jake nail this upper slot redfish which he masterfully worked him out of a mine field of oysters! We did have a small window of sight fishing opportunity this past week as Mike took full advantage of sight fishing this redfish from a school tucked way back in a creek. Here are some photos of previous trips from last week. Sight fishing season is here so grab your polarized glasses a casting platform or stepladder and start looking for schooling reds on your favorite flat. Go ahead and sleep in as sight fishing doesn’t get good till late morning, if wind is not a factor, keep the sun to your back and when a school is located approach with stealth. 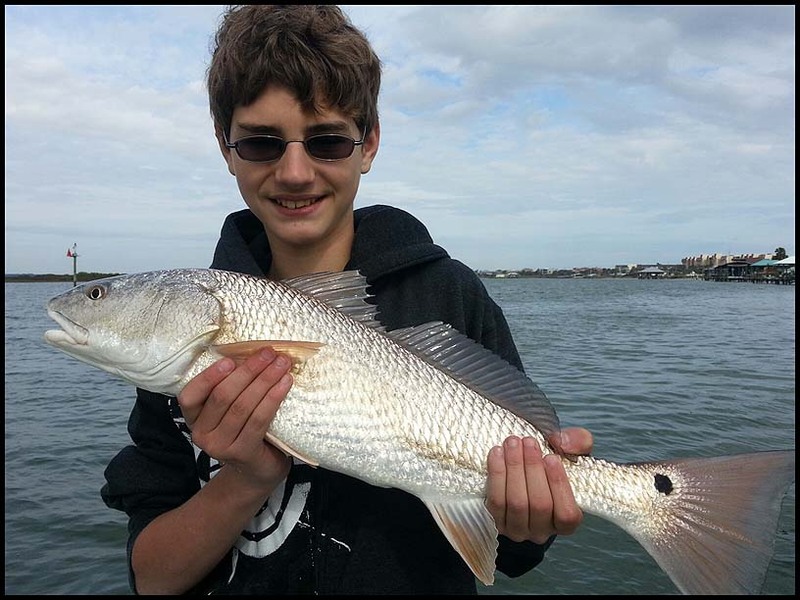 Using a push pole or trolling motor on a low setting will get you within casting distance, when close enough to the school look for the lead fish or pick off the reds located on the outside of the school. Small soft plastics like Z-man paddlers, small spoons or Sebile stick shadd work best for schooling reds. Remember it’s always best to lead your fish by a mile rather hit the fish on the head and spook them. 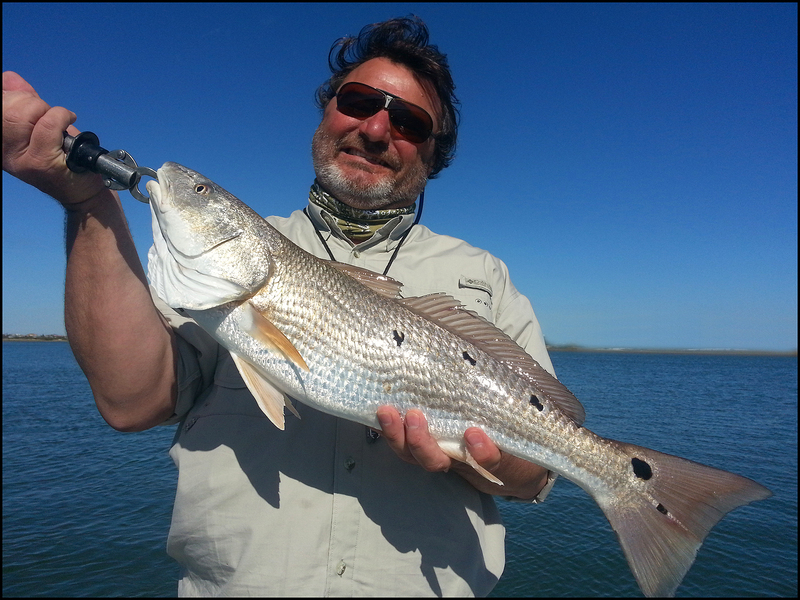 If redfish refuse soft plastics try downsizing or changing lure colors could make the difference. Fly fisherman will bend a rod with any small natural color fly that mimics any small shrimp pattern. A Flats Bunny, olive being one of my favorite colors is my first choice of fly followed by Merkwans. Rat reds, Black Drum and dink Trout to just keepers are still occupying the creek holes and thumping any jig and soft plastic combo. Live shrimp with a bb split shot and Daiichi 1/0 circle hook or a Slayer Inc. Jighead and shrimp combo is the live bait alternative for trout, black drum or reds if artificial is not your thing. Sheep head are another sight fishable species located during first of incoming tides on oyster beds on the flats or around bridge and dock pilings. Best baits are fiddler crabs matched with a Daiichi 1/0 Octopus J hook hands down but shrimp will do in a pinch. During high tides look for Sheepheads in the Palm Coast Canals, most fish will be feeding on the barnacles that are on the seawalls and docks.